Silence of the Bees was the first in-depth look at the search to uncover what was and continues to kill honeybees. The film take viewers around the world to the sites of fallen hives, to high-tech labs, where scientists race to uncover clues, and even deep inside honeybee colonies. Silence of the Bees is the story of a riveting, ongoing investigation to save honeybees from dying out. The film goes beyond the unsolved mystery to tell the story of the honeybee itself, its invaluable impact on our diets and takes a look at what’s at stake if honeybees disappear. 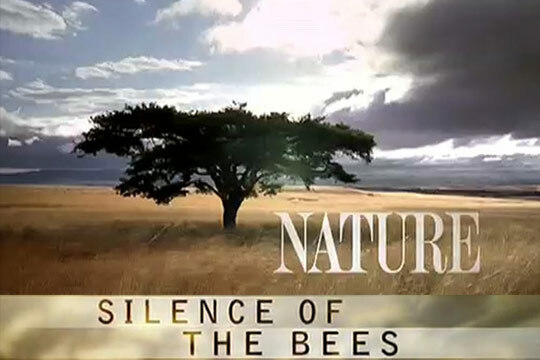 Silence of the Bees explores the complex world of the honeybee in crisis and instills in viewers a sense of urgency to learn ways to help these extraordinary animals. I worked with Doug Schultz and Partisan Pictures on this Peabody winning documentary for PBS/Nature. We filmed with researchers around the world, beekeepers with mobile beehives, farmers and a slew of other bee-business related characters. This film also gave me the opportunity to work with the Phantom camera, filming bees in their hives and we also shot with telescopic lenses to go inside beehives.